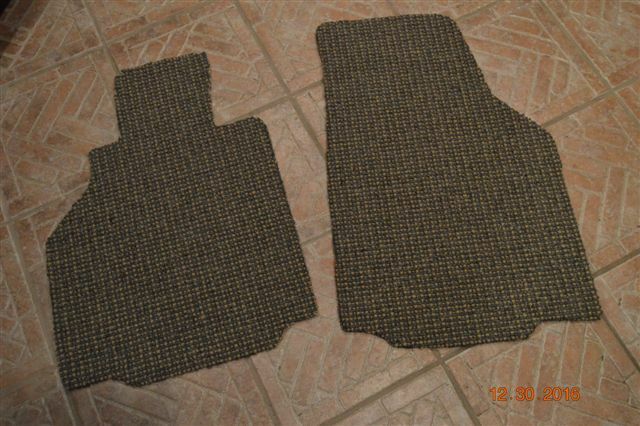 I picked up a small piece of commercial carpet that I thought would look good using for floor mats. I marked out the outline of the OEM's on the back and cut out. They look terrific in the car. Just need to have the edges bound at a Upholstery shop. A picture later in the car. Not a bad idea. Kind of looks like the durable Berber carpet. I am sure once the project is complete there will be many more to follow. 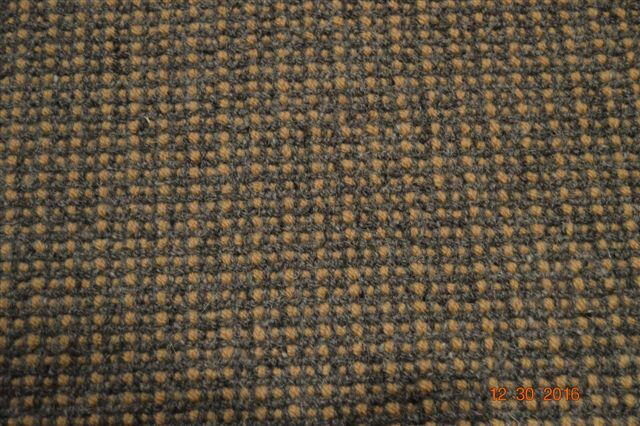 You might want to name the location of where purchased, type/name of carpet, price and store--for those looking to follow this DIY. This was a one of a kind small piece of Carpet I had left over from creating a 9 x 12 piece. There was no name on the back. If interested, one might print out my picture, and a Carpet company might can identify or find something close to a match. Last edited by Lew; 01-03-2017 at 05:24 PM. Looks close to what I have.